We are very excited to show off our new reclaimed wood option of fencing and gates at Harwell Design. 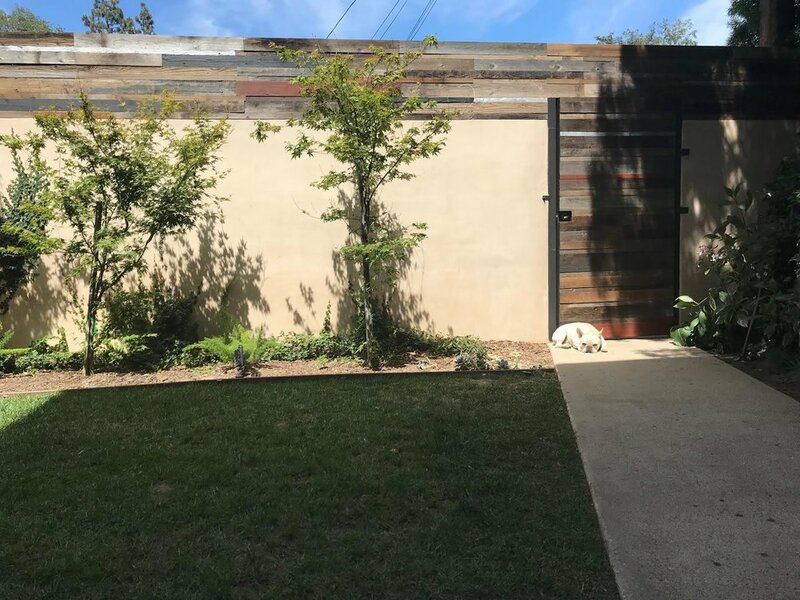 A recent project we did was a reclaimed Wall Extension with an entry gate to give some extra privacy for a back yard and also to enclose the yard with a fence for a new puppy to safely frolic in their yard! Using reclaimed wood is a little trickier than you might think. It takes a trained eye to select the right shades of reclaimed wood to use for blending tones or giving contrast for design purposes. You want a finished product to have an overall balanced look. Our resident artist and master wood worker Jake Harwell was the brains behind our wall extension. For more ideas, view our website that includes our other reclaimed wood projects. Don't be shy, if you are interested please reach out and let us know how we can help you! Driveway Gates At Harwell Design are One of a Kind! Reclaimed Wood Wall Extensions + more Custom Designs!